Twitter Goes to the Darkside? 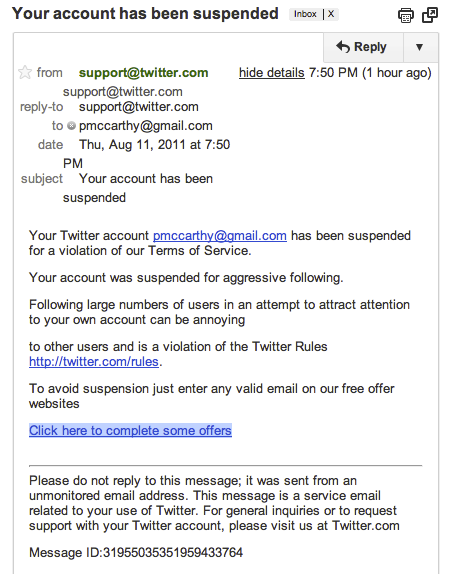 We should beware this email,after you receive this email try to check your account and try to logging in. And don’t click those links that the have send. We must thanks author for this.